The ability of problem-solving is one of the skills that are very influential in a person’s life and it also has critical importance on successful aging. The examination of daily problem-solving consists the solutions that an individual produces when faced with an everyday problem such as preparing a meal, maintaining a social relationship and/or following a recommended medical treatment. The recent studies show that problem-solving performance is very much related to the social context as well as it is related to cognitive abilities and personality traits. Since everyday problem-solving ability can be described as a versatile dynamic process, it should be studied in various contexts. Although the definition of success in problem-solving may vary through a lifespan development perspective, studies reveal that there are divergent patterns of change (decreased, increased or remained the same) in performance based on age. More specifically, some findings indicate that performance decreases as age increases, but other researchers have pointed out that there is no negative linear relationship between age and problem solving in conflict with theories and these fings vary. The aim of this review is to address recent approaches to problem-solving ability, discuss potential factors that may relate to this construct and summarize their recent findings. Problem çözme becerisi, bireyi pek çok açıdan etkileyen yeteneklerin başında gelmektedir ve başarılı yaşlanmada önemli bir yere sahiptir. Günlük problem çözme, bireyin günlük yaşantısında karşılaşabileceği problemlere getirdiği çözümleri incelemeyi içerir ki bunlar yemek hazırlamak, sosyal ilişkileri korumak veya önerilen bir tedaviyi sürdürmek olabilir. Araştırmalar problem çözme performansının bireyin bilişsel ve kişilik özellikleri ile birlikte içinde bulunduğu sosyal bağlam ile de oldukça yakından ilişkili olduğunu göstermektedir. Bu açıdan, günlük problem çözme süreci geniş bir bağlamda incelenmesi gereken çok yönlü dinamik bir süreç gerektirir. Problem çözme başarısının tanımı, yaşam boyu gelişim psikolojisi bakış açısına bağlı olarak değişiklik gösterse de araştırmalar problem çözme performansının yaşa bağlı farklı değişim örüntüleri olduğunu ortaya koymaktadır. Daha özgül olarak, bazı bulgular yaş arttıkça performansın azaldığını işaret etse de diğer araştırmacılar kuramlarla çatışır bir şekilde yaş ile problem çözme arasında negatif yönde doğrusal bir ilişki olmadığını ve bu bulguların çeşitlilik gösterdiğini belirtmişlerdir. Bu derlemenin amacı, psikoloji alan yazınında problem çözme yaklaşımlarını ele almak, bu beceri üzerinde etkili olabilecek olası faktörleri tartışmak ve bu beceriye dair güncel araştırma bulgularını sunmaktır. Berg CA, Strough J, Calderone KS, Sansone C, Weir C (1998) The role of problem definitions in understanding age and context effects on strategies for solving everyday problems. Psychol Aging, 13:29-44. Birditt KS, Fingerman KL, Almeida DM (2005) Age differences in exposure and reactions to interpersonal tensions: a daily diary study. Psychol Aging, 20:330-340. Blanchard-Fields F (2007) Everyday problem solving and emotion: an adult developmental perspective. Curr Dir Psychol Sci, 16:26–31. Blanchard-Fields F, Jahnke HC, Camp C (1995) Age differences in problem-solving style: the role of emotional salience. Psychol Aging, 10:173-180. Blanchard-Fields F, Mienaltowski A (2006) Decision making and everyday problem solving. In Encyclopedia of Gerontology, 2nd ed. (Eds JE Birren):350-358. New York, Academic Press. Blanchard-Fields F, Mienaltowski A, Seay RB (2007) Age differences in everyday problem-solving effectiveness: older adults select more effective strategies for interpersonal problems. J Gerontol B Psychol Sci Soc Sci, 62:61-64. Burton CL, Strauss E, Hultsch DF, Hunter MA (2006) Cognitive functioning and everyday problem solving in older adults. Clin Neuropsychol, 20:432-452. Coats AH, Hoppmann C, Scott SB (2014) Goals, strategies, and well-being across adulthood: integrating perspectives from the coping and everyday problem-solving literatures. In The Oxford Handbook of Emotion, Social Cognition, and Problem Solving in Adulthood (Eds P Verhaeghen, C Hertzog):206-225. New York, Oxford University Press. Chen X, Hertzog C, Park DC (2017) Cognitive predictors of everyday problem solving across the lifespan. Gerontology, 63:372-384. Cornelius SW, Caspi A (1987) Everyday problem solving in adulthood and old age. Psychol Aging, 2:144-153. Davidson JE, Deuser R, Sternberg RJ (1996) The role of metacognition in problem solving. In Metacognition Knowing about Knowing (Eds J Metcalfe, AP Shimamura):207-227. Cambridge, MIT Press. Denney NW, Pearce KA (1989) A developmental study of practical problem solving in adults. Psychol Aging, 4:438-442. D'Zurilla TJ, Maydeu-Olivares A, Kant GL (1998) Age and gender differences in social problem-solving ability. Pers Individ Dif, 25:241-252. Eseryel D, Law V, Ifenthaler D, Ge X, Miller R (2014) An investigation of the interrelationships between motivation, engagement, and complex problem solving in game-based learning. J Educ Techno Soc, 17:42–53. Ellis S, Siegler RS (1994) Development of problem solving. In Thinking and Problem Solving (Ed RJ Sternberg):333-408. San Diego, Academic Press. Huang J, Tan SP, Walsh SC, Spriggens LK, Neumann DL, Shum DH et al. (2014) Working memory dysfunctions predict social problem solving skills in schizophrenia. 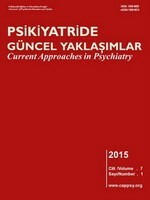 Psychiatry Res, 220:96-101. Grant JS, Elliott TR, Weaver M, Glandon GL, Raper JL, Giger JN (2006) Social support, social problem-solving abilities, and adjustment of family caregivers of stroke survivors. Arch Phys Med Rehabil, 87:343-350. Goldstein EB (2011) Cognitive Psychology: Connecting Mind, Research and Everyday Experience, 3th ed. Wadsworth, Cengage Learning. Gilhooly ML, Gilhooly KJ, Phillips LH, Harvey D, Brady A, Hanlon P (2007) Real-world problem solving and quality of life in older people. Br J Health Psychol, 12:587-600. Heidrich SM, Denney NW (1994) Does social problem solving differ from other types of problem solving during the adult years? Exp Aging Res, 20:105-126. Kowalski R, Westen D (2011) Psychology, 6th edition. Hoboken, NJ, Wiley. Marsiske M, Willis SL (1995) Dimensionality of everyday problem solving in older adults. Psychol Aging, 10:269-283. McGillivray S, Friedman MC, Castel AD (2012) Impact of Aging on Thinking. In The Oxford Handbook of Thinking and Reasoning. (Eds KJ Holyoak, RG Morrison):560-582. Oxford, Oxford University Press. Mienaltowski A (2011) Everyday problem solving across the adult life span: solution diversity and efficacy. Ann N Y Acad Sci, 1235:75-85. Murphy V, Felgoise SH, Walsh SM, Simmons Z (2009) Problem solving skills predict quality of life and psychological morbidity in ALS caregivers. Amyotroph Lateral Scler, 10:147-153. Moorey S, Holting C, Hughes P, Knynenberg P, Michael A (2001) Does problem solving ability predict therapy outcome in a clinical setting? Behav Cogn Psychother, 29:485-495. Paterson TS, Yeung SE, Thornton WL (2016) Positive affect predicts everyday problem-solving ability in older adults. Aging Ment Health, 20:871-879. Pezzuti L, Artistico D, Chirumbolo A, Picone L, Dowd SM (2014) The relevance of logical thinking and cognitive style to everyday problem solving among older adults. Learn Individ Differ, 36:218-223. Pretz JE, Naples AJ, Sternberg RJ (2003) Recognizing, defining, and representing problems. In The Psychology of Problem Solving (Eds JE Davidson, RJ Sternberg):3-31. Cambridge, Cambridge University Press. Siu AM, Shek DT (2010) Social problem solving as a predictor of well-being in adolescents and young adults. Soc Indic Res, 95:393-406. Solso RL, Maclin MK, Maclin OH (2007) Bilişsel Psikoloji , 4. Baskı (Çeviri Ed. A Ayçiçeği- Dinn). İstanbul, Kitabevi Yayıncılık. Solaz-Portolés J, López V (2008) Types of knowledge and their relations to problem solving in science: directions for practice. Sísifo Educational Sciences Journal, 6:105-112. Sone T, Kawachi Y, Abe C, Otomo Y, Sung YW, Ogawa S (2017) Attitude and practice of physical activity and social problem-solving ability among university students. Environ Health Prev Med, 22:18. Slangen-de Kort YAW, Midden CJH, Van Wagenberg AF (1998) Predictors of the adaptive problem-solving of older persons in their homes. J Environ Psychol, 18:187-197. Thompson MG, Heller K (1993) Distinction between quality and quantity of problem-solving responses among depressed older women. Psychol Aging, 8:347-359. Thornton WJ, Dumke HA (2005) Age differences in everyday problem-solving and decision- making effectiveness: a meta-analytic review. Psychol Aging, 20:85-99. Thornton WL, Paterson TS, Yeung SE (2013) Age differences in everyday problem solving: the role of problem context. Int J Behav Dev, 37:13-20. Thornton WJL, Deria S, Gelb S, Shapiro RJ, Hill A (2007) Neuropsychological mediators of the links among age, chronic illness, and everyday problem solving. Psychol Aging, 22:470-481. Whitbourne SK, Whitbourne SB (2010) Adult Development and Aging, 4th edition. Washington DC, Wiley. Wiley J, Jarosz AF (2012) Working memory capacity, attentional focus, and problem solving. Curr Dir Psychol Sci, 21:258-262.